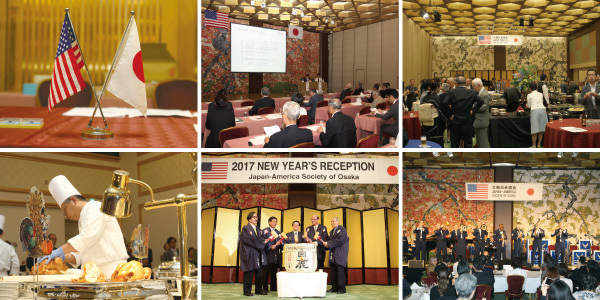 The Japan-America Society of Osaka was established in 1946 by a group of people from the private sector “to promote friendly relations, mutual understanding and cultural interchange between the peoples of Japan and the U.S.” Grassroots exchange is indispensable in nurturing the trust and developing a strong partnership in the international community between the two countries. The Japan-America Society is committed itself in persuing this mission by organizing a wide range of activities as below. Furthering cultural interchange through research trips and various other cultural activities, such as visiting museums and theaters etc.